Rescue clubs, utility clubs, hybrid clubs…there sure seems to be a lot of names and/or descriptions for them and if you watch golf on TV even the announcers who call the action are clueless as to what to call them. As far as some of those guys are concerned the player in question is playing with some sort of alien type of golf club and it cracks me up. “It looks like Jim Furyk is playing some sort of a utility type hybrid kind of a rescue club for this shot; let’s have a look at how it works for him.” Hardly an unknown now, these clubs have been around for a few years yet it still makes me laugh when they are described to me like they were just dropped out of a UFO before the round. Most people I know call them hybrids so that’s what I’m sticking with. I’m actually pretty slow arriving to the party people are having with hybrids and it’s not because I’m super great at hitting my 3 iron either. I tried to jump on the bandwagon early on, but I flat out could not hit one to save my life! I picked up a hybrid to replace my 3 iron four or so years ago and basically all I did was replaced one club that never got hit with another one that never got hit. After cutting my losses and getting rid of it I later decided to try once more. I, again, hoped to be able to use it for those shots that were a little too close for my 3 wood, but where I didn’t trust a 3 iron. For me that distance was between 215 and 230 yards. I believe I finally started to figure out the basics and found myself at least able to get the ball off the ground and usually in the general direction of the green with the 2nd hybrid that made its way into my bag. Better, yes, but still not something that I completely trusted in a pinch. Enter the TaylorMade Burner SuperLaunch Rescue to see if I can finally fall in love with a hybrid like millions of other golfers around the globe. The first thing that you’ll notice about the SuperLaunch is that they don’t look like any other hybrids out there. These actually look more like a smaller fairway wood than they do a hybrid club (or at least what other companies are making and calling hybrids). Before I ever even hit the SuperLaunch I really had a good idea that I’d like it just based on the appearance from address alone. Maybe that was my problem all along as my previous hybrids looked more like a typical hybrid. 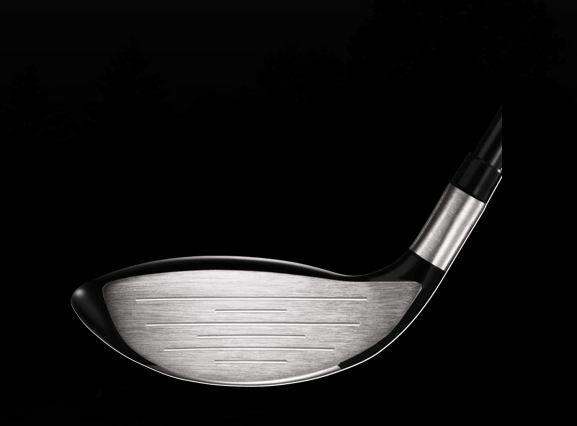 They had the face that is closer to a long iron than a fairway wood, but more bulk and weight behind the face than long irons. I don’t know for sure what my issues with my previous hybrids were, but I do know that the looks of the SuperLaunch Rescue really helped me finally get the results I had always hoped for out of one. My testing began with some driving range work and right away I could tell that I was going to like it. The club head sets up perfectly at address and really instills a lot of confidence before even beginning your backswing and confidence is king with any club and it definitely helped me get good results right away. Testing then moved indoors where I played several rounds and multiple practice sessions in an indoor simulator. One nice thing about the indoor simulator was that each time I was given an accurate calculation of the distance I had just hit the previous shot. One of my practice sessions particularly stands out to me because I thought I broke the simulator, in a 5 shot span my distances were 220, 221, 220, 222, 220- talk about consistency! It wasn’t until I moved to some iron shots that I realized the simulator was in fact working as it was supposed to. After several rounds indoors I was extremely excited to get the SuperLaunch outside for some real life golf. As expected the SuperLaunch was still easy to hit and I saw the same solid results I had been enjoying in the simulator. The ball flight is exactly what I had hoped for when I picked up my first hybrid several years ago: high. To me the most important aspect of a good hybrid is being able to hit it high and have it land and stop relatively quickly for those long approach shots into the green and the SuperLaunch Rescue did just that. One other nice little feature I liked about this club was the versatility that I was able to get with the distances I hit. One shot in particular stands out to me from one of my rounds outside. I was on a par 5 that I drove the ball into the light rough and I had 245 to the hole but about 220 over some greenside bunkers. I hit the ball right on line and it landed just past the bunkers and rolled to about 10 feet setting up a rare makeable eagle putt. Of course I missed the putt by a mile, but that’s for a whole separate article! I walked off with a birdie that I firmly believe was because of this SuperLaunch Rescue. Without this club and my findings from the simulator rounds I wouldn’t even have tried that shot. I don’t typically try to work the ball one way or the other but instead prefer just a straight shot that covers the specific distance that I expect the club to go each time. That is exactly what I got out of the SuperLaunch. I was able to vary the height and distance of shots with relative ease which is definitely something that I know I need out of my hybrids. The feel and sound you get from the SuperLaunch really impressed me. There is a high pitch sound when struck right in the sweet spot that I haven’t heard from many other clubs and it was something I found myself liking a lot. 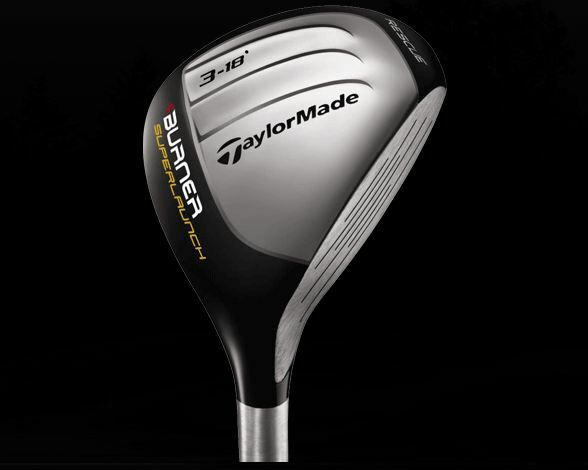 The stock shaft is a TaylorMade RE-AX 60 that sure seems to work out great in this club. The grip is a decent grip that definitely didn’t seem to cause any issues for me at all. Now the part of the club that I didn’t like too much was the head cover. The looks are just fine, but the thing that bugs me about it is how the cover slips, or in this case doesn’t slip, on to the club head. It isn’t horrible, but definitely something that could be addressed quite easily by the folks at TaylorMade. Just give me something that’s a little easier to slide off and back on the club head, please! The Burner SuperLaunch Rescue is available in lofts of 18, 21 and 24 degrees and depending on how far you hit a 3 wood you’ll definitely want to do some testing before just deciding on which loft to go with. The reason I say this is that the 18 degree for me seemed like it was closer to a 4 wood than it was a suitable replacement for my 3 iron. That isn’t a bad thing mind you, just something to consider when filling gaps in your bag. These clubs are available at golf shops everywhere as well as online retailers like Blind9Golf for around $139. TV announcers may never figure out what to call them, hopefully they don’t, because personally I kind of enjoy getting a little chuckle out of them describing them like they are a foreign object. Regardless of what anyone calls them the fact is that they really are helpful to your game. If a hybrid or rescue club is on your radar do yourself a big favor and add the TaylorMade Burner SuperLaunch Rescue to your list to demo before you make a purchase, you’ll be happy you did! Still haven’t had a chance to hit this one and I’d really like to. Sounds like it was a real bomber for you, Jake. Jake, that was a very thorough and enjoyable read. I don’t think there’s a better feeling than finding a golf club that you just love! I hope this hybrid continues to work for you in 2011. Very thorough review Jason. I enjoyed reading it and hope to hit it myself soon. Thanks for the review. As for the headcover, I might go with keeping it tight and hard to get on and off – my older Rescue has the opposite problem – no matter what cover I use it slides off so easily I wind up dropping my cover from it multiple times per round just from walking around or even riding in a cart. Just pops right off. I’d welcome a harder to remove option! great review Jason! The lofts are the things that have me somewhat worried about this club. However depending on yardages perhaps I can throw the 18 in for my 4 wood. That was a great review Jake, it really does look a lot more like a traditional F/W than a hybrid which I think a lot of people will enjoy. I’m said many times that I’m a big fan of this club, I’m glad it is working so well for you! A great review Jake! Fantastic review Jake!!! I hope your sucess with this club continues througout the golf season!!! wow, that was an incredible review! 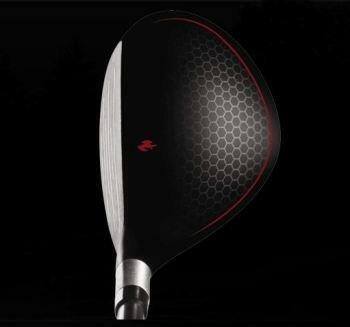 I think I would also like the fact that it just looks like a small fairway wood. I am happy to see you have had success with this club. I truly look forward to hitting this soon. Good Job Jake! Pro shop at the local military base had one of these on clearance yesterday for $89 with no tax. Well Iv’e got one and I love it. Its my favourite club and I use it whenever I can. For me its a nice straight hit of 180 metres off the fairway or for a excellent rescue from the rough. These are my first Taylormade clubs and I am in love. I bought a 5 last year and find it hits very straight very easily. I’m going to start looking for a 3.